Welcome to the Twenty Fourth Edition of the Owen Guns Bulletin. 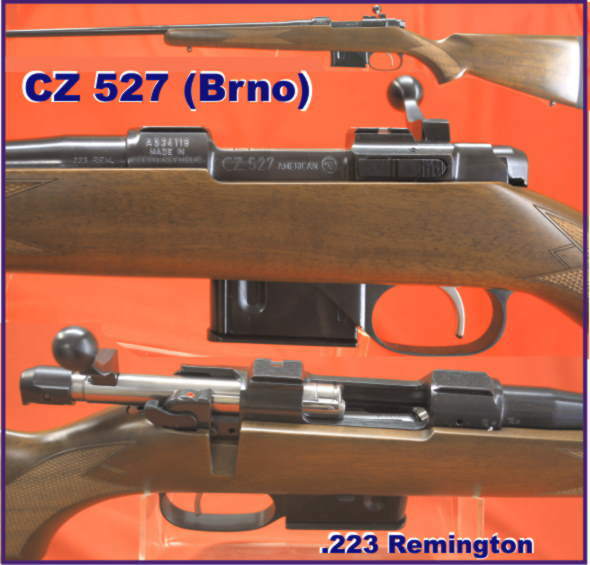 CZ 527 (Brno) Very Special Price $995 including Mount Rings. The Long serving CZ Brno mini Mauser Action now chambered in the most popular calibre of our age the .223 Remington.Includes a detachable magazine, QD swivels, and steel scope mounting rings. In Australia since 1996 and John Howard’s Misinformed Uniform Gun Laws and the banning of .22 Long Rifle semi auto rifles from the hands of the honest upright community minded citizen. Leaving them only available to people who break the law and whom ever the police deem are worthy, there has been a resurgence in popularity of the .22 Pump action rifle. Unfortunately the overseas manufactures have more than likely no idea that this demand exists in Australia which is a market so small that it has to respond to what is left over from the US and European markets to acquire anything. The Australian annual new firearm sales might be less than the sales of just one major North American gun shop or in its vicinity. So as Winchester do not manufacture firearms at all at the moment and new Remington .22 Pump actions are very expensive, and no other manufacturer of note customers are touring Australia’s gun shops buying up old ‘trombones’ and resurrecting them into new life. Even near smoothbore clunkers like this Winchester 1906 command a price in Australia. Please make sure they lock tightly after the bolt is closed. A.22 Long Rifle still creates ten ton of pressure in the chamber. I believe, that they should just be looked at, in a collection. The designs of John Moses Browning used by Remington, Winchester, Browning and even the Brazilian Rossi does not lend itself to the finest accuracy, nor to the attainment of a high degree of skill in practical marksmanship. For nearly a hundred years they were a great source of fun in shooting galleries and even though some more conservative elements in the shooting fraternity think that the pump action owners are “speed fiends” they have forgotten the main element of what our hobby and sport is about ‘enjoyment’ many shooters just enjoy the mechanical system that makes a firearm work. Firearms are not just a means to an end each one is an artifact a tool made by human hand a work of art, and engine for converting fuel into energy and impact. We can learn a lot about the development of repeating firearms from pump actions and they will also be still shooting in another 100 years. Providing a service as a tool and providing hours of entertainment for the enthusiast. A cutaway drawing of the Mauser 98 Action taken from the British Text Book of Small Arms 1904. The one most outstanding manually operated mechanism for rifles the World for the last 111 years has been the Mauser Bolt Action Rifle, Model 1898, together with the numerous slight modifications of it. It was adopted by twenty one of the leading nations of the world for army and navy use. Although now it has been replaced by most of those governments for more automatic firearms in general service use it has spawned many sniping rifle variations. It has still many sterling qualities and few drawbacks, except its lack of rapidity of fire as compared with automatic rifles. In expert hands a rate of fire of about sixteen aimed shots per minute is possible, or the first six shots can be fired in about ten seconds. 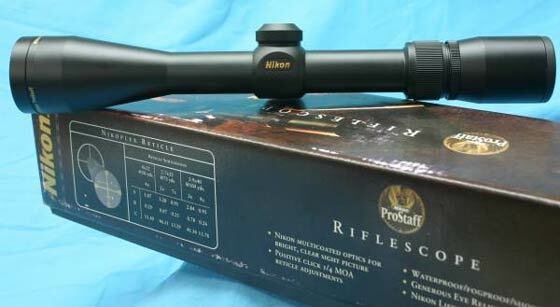 Its outstanding features are its strength and reliability under all conditions of military service, and it lends itself to assembly in a complete rifle capable of being adjusted for the very finest long range accuracy. 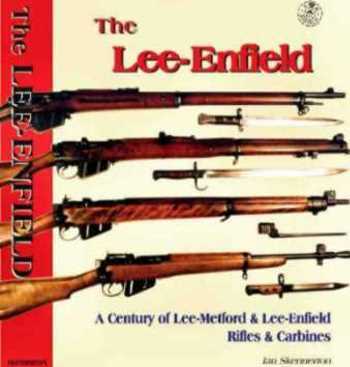 Even the Military forces of the United States of America which historically rates all countries of the worlds firearms as lesser specimens of mechanical invention, kneeled in favour of the Mauser Action and issued the great Springfield Model 1903 rifle which is a Mauser rifle. They used it in military service for 40 years. Additional to the Springfield is the M17 and P14 Enfield rifles that were manufactured by both Winchester and Remington, made by the millions for the First World War and used by both Britain and the USA. Both are a slight variation of the Mauser system and every bolt action centrefire and many .22 Long Rifle rimfire rifles owe some or most of their designs to the Mauser 98 designs. A left handed Zastava mini Mauser Bolt Action. The action has become increasingly popular for sporting purposes, particularly where flat trajectory coupled with the finest accuracy is desired. The Mauser Action has given birth to the Remington Model 700 , the Winchester Model 70, the Ruger Model 77, the Parker Hale Model 1200 and countless other makes and models . 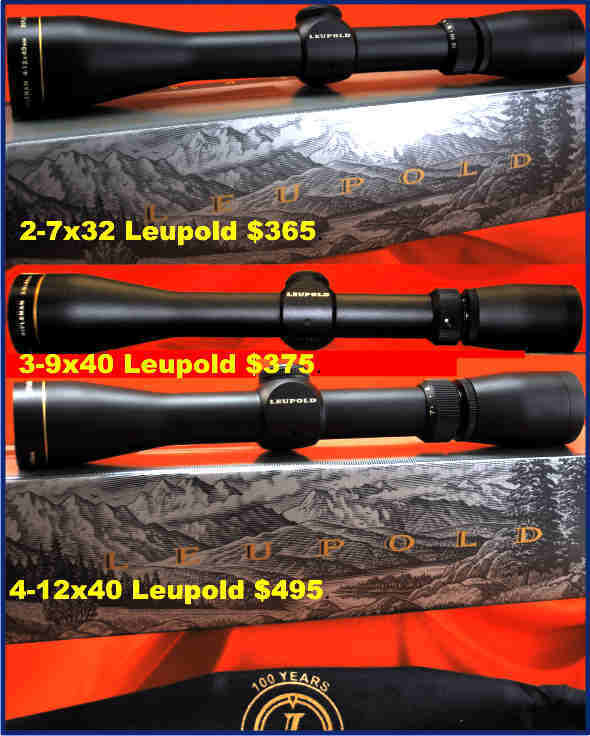 Popularity is mentioned here because in America, where the buying public is well educated in the intimate construction and performance of rifles, it is indicative of real mechanical and ballistic excellence in that they are still as popular as they were fifty years ago. 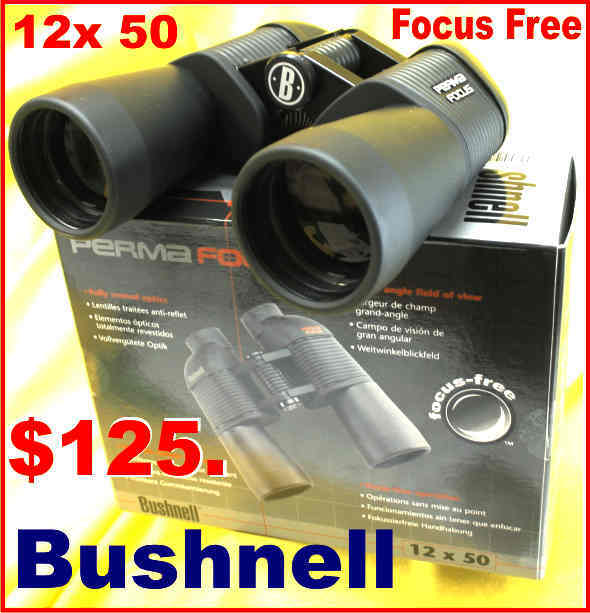 Even increasing popularity due to the introduction of the synthetic stock and the more factory designed scope mounting systems which have replaced the need for a Custom Gunsmith to re fashion an ex military Mauser rifle action into a sporting or target rifle. The same details of complete assembly—barrel, breech action, and stock—which result in such superfine accuracy with certain rifles having Mauser type actions and with high intensity cartridges, bolt action rifles will remain in demand so long as men are interested in serious competitive rifle shooting. Much More on these firearm designs in future articles. An increase in bullet diameter, whether actual and brought about by a physically larger bullet, or effective and brought about by a physically smaller bore will increase pressures. The amount of increase cannot be predicted accurately. Obviously, a small increase in diameter will produce less pressure change than a large increase. This is a K98 Mauser Rifle which uses the 8x57mm Mauser cartridge. The FN 98 Mauser rifle ara mainly chambed for 30-06 cartridges vastly different in bullet size. A classic example of how serious an effect can be produced by an oversize bullet turns up on the counters of gunshops world wide on a semi spasmodic regularity usually is an Fabrique Nationale, Belgium made Mauser M1950 .30/06 Military rifle, (mainly with Columbian Crest markings on the receiver) They mostly have .30 stamped on the side of the barrel to indicate they have been re-barrelled to 30-06 by a military arsenal. As they look like a Mauser rifle or the operator did not know the difference between an 8x57mm Mauser cartridge and a .30-06 Springfield cartridge and fired the standard factory loaded 8 x 57mm cartridge in the .30-06 chamber. 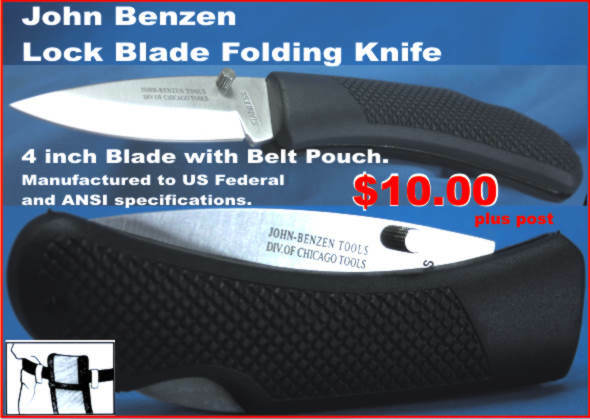 This creates the reason why they end up on the counter in the gunshop as excess pressure causes damage tot he rifle and sometimes injures the shooter or people in the immediate vicinity. The nominal diameter of the bullet that does the damage would have been .322″, while the 30-06 standard bullet .30 caliber diameter is .308″. Consequently, we may assume (without being able to recover and measure the 8mm bullet) that the offending bullet was .014″ oversize. Generally speaking, a standard .30/06 case loaded with a bullet this large could not be chambered without considerable difficulty which should have alerted the shooter that some trouble was in the offing. However, in most instances, the shorter 8mm cartridge was easily chambered and fired. It should be noted also that the 8mm cartridge contained a powder charge substantially less than standard for the .30/06. In most events, upon firing, the guide lip on the bolt face are broken off, the brass case head was melted away and brass brazed to the bolt face, (sometimes the brass is even melted and forced down the firing pin hole) the extractor is bent or broken, the stock is usually shattered, the magazine floor plate blown out, and brass and powder particles embedded in the shooter’s forehead and cheek. Reminding us always to use shooting safety glasses. The rifle is, for all practical purposes, destroyed. It could be salvaged for parts, or could be rebuilt at a cost exceeding its market value. This is not a rare example, the next most common incident is when the operator loads a .308 Winchester in a .270 Winchester they fit the bolt will close and the shooter has a huge ringing in his ears and presumes he is dead. Many of his ex friends might wish he was, but due to the safety designs built into firearm actions he will be spared. 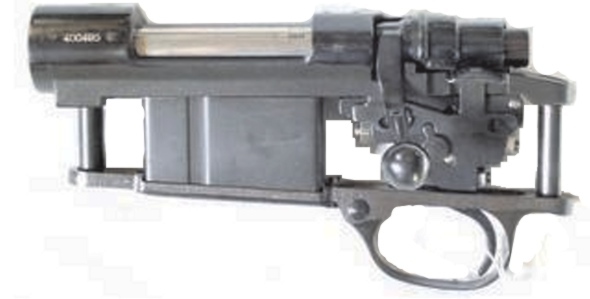 These incidents which cause damage to the firearm are wrongly described as “blow ups”, which is an incorrect term as the safety designs have ensured that has not happened the action will still be together the bolt will not have let go, the barrel will still be attached to the receiver, it will have contained the blast. An action that lets go and sends large lumps of metal at supersonic velocities nearly always causes a fatality to the shooter or someone in close vicinity. That can correctly be called a “Blow Up”. This is another definite No No. This person was substituting bronze welding rod by cutting it into sections with side cutters and then grinding a small chamfer on them, as he considered that would make them go better. Results would have been very variable. The wrong size projectile that can still be fired in the wrong size chamber is a problem representing an error that would not normally be made in assembling handloads. Nevertheless, it could occur inadvertently if the handloader did not pay particular attention to the diameter of bullets being used. And it does show clearly what can happen. In addition to bullet diameter, the use of a harder and/or thicker jacket, a harder core, greater weight, or a longer bearing surface will also raise pressures by an appreciable amount. Likewise, reductions in these values will bring about a lowering of chamber pressure. Probably the most likely areas in which really excessive bullet variations will be encountered are in the occasional attempt to use standard .308″ .30 caliber bullets in 7.5mm and 7.35mm barrels because of limited availability of bullets of the correct diameter. For example, the 7.35mm Italian service rifle requires bullets of .298″ diameter, and when such bullets are not readily available, some poorly informed handloaders have been known to use .308″ bullets. The same situation occurs to a lesser degree with pre-1911 Swiss service rifles which require bullets of .304″ diameter. Other possibilities are endless, but less likely to occur inadvertently. Probably the classic example of this occurred many years ago, back in the 1920’s, when tin-plated bullets were loaded in match .30/06 ammunition for the U.S. Government. Initially, this ammunition was extremely accurate and produced the intended pressures and velocities. Over a period of years, though, it was found that the tin more or less “soldered” itself to the brass of the case neck. This increased bullet pull from the standard value to hundreds of pounds and to the point where it could not even be adequately measured on existing testing equipment. These cartridges, because the bullet was not relatively free to begin moving out of the case when the powder began to burn, generated tremendous pressures and wrecked several guns. 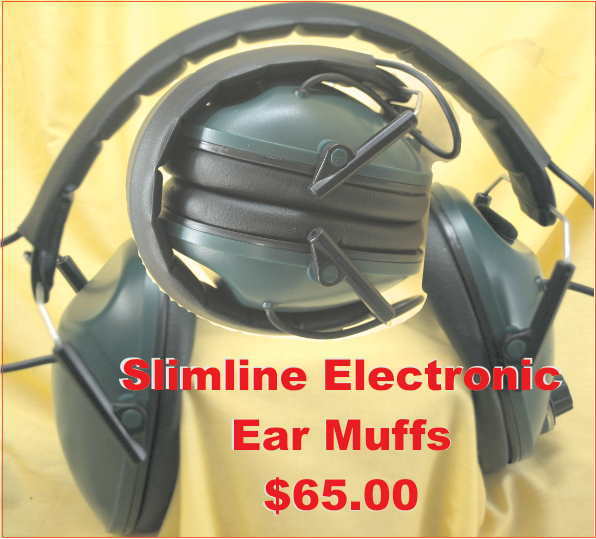 The same effect, to a lesser degree, will be produced when overly-thick case neck walls are combined with an unusually small chamber neck diameter or with oversize bullets. This combination will cause the chamber to hold the case neck snugly, even tightly, against the bullet, preventing the case expansion that normally takes place as the powder begins to burn and frees the bullet to be started down the bore. This adventurous reloader did not own a seating die so used the side cutters to crimp the case neck to the bullet. This could easily cause neck separation which could separate the neck of the shooter from his body. These are evidence that rifle actions have to be designed far in excess of what the designer can imagine, will happen to the rifle. For these reasons, the tight chamber necks once in vogue among custom rifle makers and even now popular amongst some bench-rest shooters require the use of cases whose necks have been carefully reamed or tuned to the thickness that allows the bullet to be started easily if high pressures are to be avoided. Most chambers terminate with a slight shoulder just ahead of the position of the case mouth when a cartridge is fully chambered. If the case is too long, final chambering jams its mouth into this shoulder and in effect crimps it tightly on the bullet. This impedes the bullet’s initial movement, causing buildup of excessive pressure in just the same manner as described above. My apologies for those who asked for Bullet Calculators and Manuals and received 50 copies, it was not a virus just an overload of my incoming and outgoing emails. The first time it occurred I wrongly presumed that I had addressed the problem by creating Archive files in Windows Explorer and placing last months Sent files into what I considered was a separate file. That was wrong as they were still connected, so it happened again, now it all works as they have been separated. As when you have many thousand of emails in your Send box it wont accept any more from your Outbox and the Outbox just sends them again and again and again. As some days I am sending out many hundred of large emails this creates a large problem and takes hours of sorting out so if you made a request and did not receive an answer please send again. ‘Sorry’ again to those who got annoyed by the repeats, it was not intentional and it is now fixed. One of the first 200 Owen Guns ever made from the Queensland Military Memorial Museum in Brisbane, pictured on a Map of the Battle for Australia. After the book launch of ‘The Range Officers Hand book’, and the subsequent sales success. 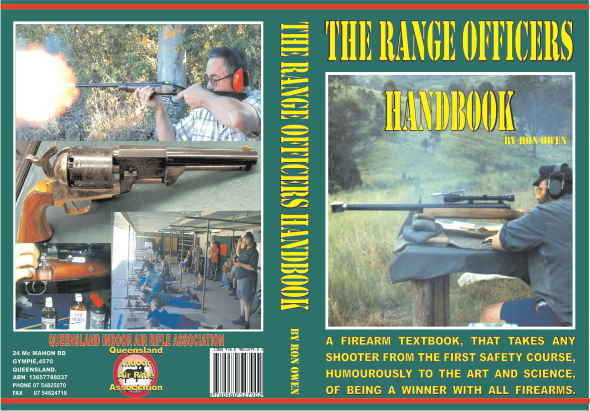 I naturally considered what book to do next, I had three potentials that I had gathered information on prior to the six years it took to complete the ‘Range Officers Handbook’ but could not at that time find the enthusiasm to return to them. Over the last near half a century of researching firearm related topics I always found it fascinating that another Owen was so similar in his interest in firearms and things that go bang, Evelyn Owen, the inventor and creator of the Australian Icon “The Owen Gun”. With thirty five years of dealing with shooters in the firearm trade, I have had many people ask if there was any close family connection with Evelyn Owen. Which I reply in the negative. One I will never forget was under the impression that the inventor of the Owen Gun was a Lady Evelyn Owen and I had to show a photograph of him with the gun, before the customer would believe that he had been misinformed. So I have naturally gathered much information over the years concerning the Owen Gun project. This book will be the story of the life and times of the Owen Gun, the why, where and when, how it worked, why it worked and why many opposed its introduction. It is a story of struggle, the struggle of a young man with the best of motives and the struggle of a country that had the best of motives. It could have been a rags to riches story but sadly that was not to be, as we all seem to be eventually betrayed by what we work for most, our country and our nation. Even our country has gone from rags to riches, been betrayed and is quickly returning to rags again. In the early 1990s I did a book review for Dr Wayne Wardman which was published in Lock Stock and Barrel and Owen Guns retailed many of the books for him. I wrote to him recently and received no reply, so I began to research the subject, as a book on the Owen Gun itself had not been published for 15 years and no book at all in full colour with a full format A4 has ever been printed. Then through the library I found a book called the Owen Gun Files which is A5 soft back by Kevin Smith which criticises Evelyn Owen for copying previous inventions and for taking credit of other people that assisted him. The author then inturn criticizes the people who assisted Owen and ardently defends the position of the Australian Army High Command who in conflict with the soldiers on the ground, resisted its issue to Australian troops. Well that really got me going, gave me something to get my teeth into. So research began in earnest. Link to the test site for some draft uncompleted articles from The New Owen Gun book. Reply to Owenguns@spiderweb.com.au with any comment or information to add. The Owen Gun Mk 1 a photo from Queensland Military Memorial Museum on drawing background. The Editor of the Illawarra Mercury kindly printed, last week, a Letter to the Editor of mine asking for information concerning the Owen Gun project and it has prompted a huge response. The Gympie Library has been supplying my request for books of the period on an almost daily basis, one I found was ‘The Evo Owen Story” by Clive Morton available in photocopy, plastic binder, from PO Box 166 Gordonvale Qld 4865 which gives a lot of family information concerning Evelyn Owen. Clive takes the opposite view to Kevin Smith, now I have to take many different opinions and prove the facts. Fortunately, even though it is more difficult to get eye witness statements the hard evidence of the Owen Guns themselves speaks through the years. Jason Haralle and I have been travelling photographing many different Guns which are all hard evidence and they tell no lies. Last week we were made very welcome at the Queensland Military Memorial Museum run by the Victoria Barracks Historical Society, Brisbane Inc and took a few hundred photographs for processing. Part of the research has been to find what background information has to be provided to explain to the people of today, and the future why the Owen Gun was so necessary at that time. Some of the young people today have no comprehension of what World War Two was about, some have no idea what War is about. I even heard of a Japanese exchange student at University level that believed that Japan took no part in World War Two at all. I have spoken to recently retired ex Australian Army officers who have been led to believe that the Japanese had no intention of invading Australia in WW2. No idea that the only reason that the Australian Militia, who only signed up for the Army to fight in Australian territory were sent to New Guinea was because at that time New Guinea was part of Australia and if they had not have stopped the Japanese in the Owen Stanley Ranges nothing was in between to stop there advance into Australia. If the Japanese had not made the mistake of attacking the Americans at Pearl Harbour as Britain was in a life and death struggle with Germany, Australia was powerless to prevent the invasion of Australia as it did not alone have the naval power. Many people make the great mistake of believing that guns kill and if they did not exist the world would be a safer place. If that were true we would all attack them with a fury but is not true, people kill people, if there were no guns they would make something worse either by nano or nuclear, if they want to stop people killing people they would have to remove that capacity at birth as people kill people. They are very good at it, firearms are only one of hundreds of tools, that people kill with. They do not understand that guns, are tools and are also just as capable in saving life, and that is magnified by the fact that one gun can save the life of many, and many guns can save the lives of millions. All that is relative is what side you are on. 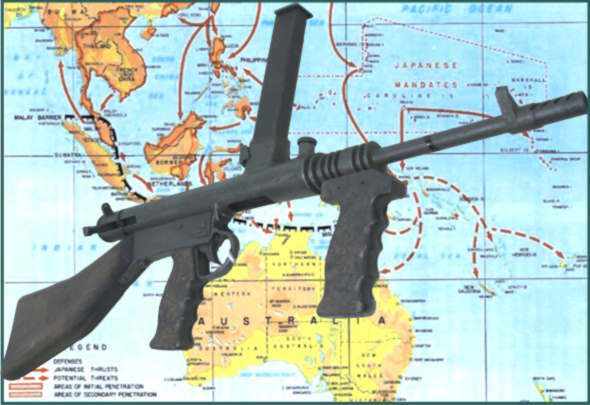 If Australia had no capacity to manufacture guns in World War Two or had no guns at all the Japanese would have had no opposition in New Guinea they would have landed on the Australian mainland. The only language spoken in Australia today would have been Japanese, there would not have been a base for the Americans to fight back from, this countries huge natural resources would have been quickly diverted to assist the Japanese war effort. The Australian people as were all the people that fell under the Japanese Co Prosperity Sphere were completely disposable, in Northern China besides using the people for bayonet practice they used them en-mass for experimentation in germ warfare. 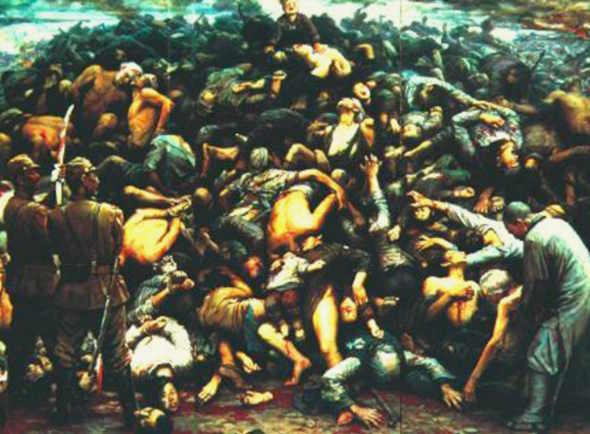 The massacre of Chinese civilians at Nanking by Japanese soldiers. So no one can argue that guns do not save lives, if we did not have them Australia and the Australian people would not exist to day. It is just a shame that they did not have more of them, as more men died from the lack of them. In fact if Australia had been heavily armed prior to World War Two the Japanese might have chosen to put more effort into conquering India. The Owen Gun saved many thousands of lives and would have saved many thousand more if it had been introduced earlier. If this new book succeeds in anything, if it only informs people so that the mistakes are all not made over and over again, as all too often the macabre dance of history repetitively and rhythmically beats the drums of war. 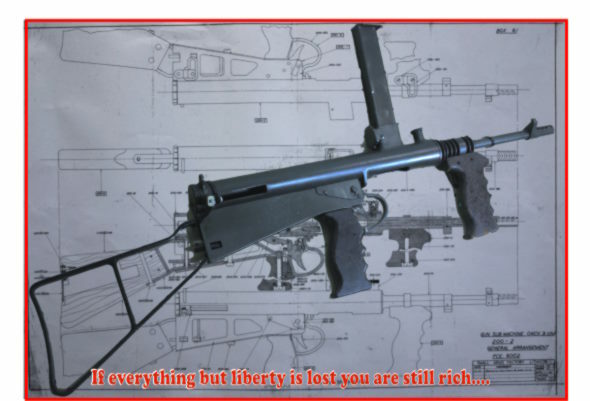 Operators Manual for the CZ 527 Cz Ceska Zbrojovka Free Instructions, how to Assemble Dis-Assemble Maintenance Exploded Diagrams General Data, Safety Warnings. 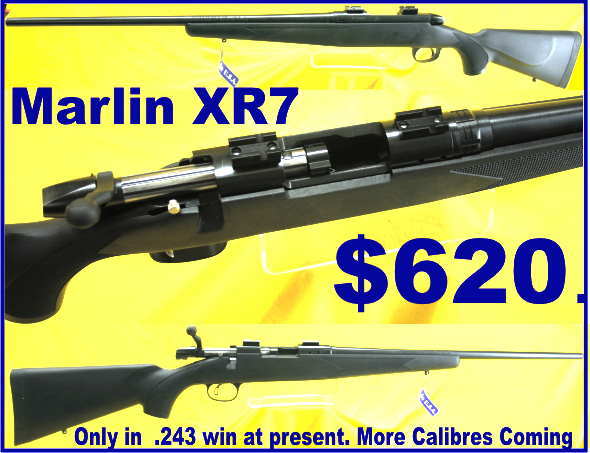 CZ527 s are on specail at Owen Guns for two weeks so if you want a close look at all the details ask for the free manual.